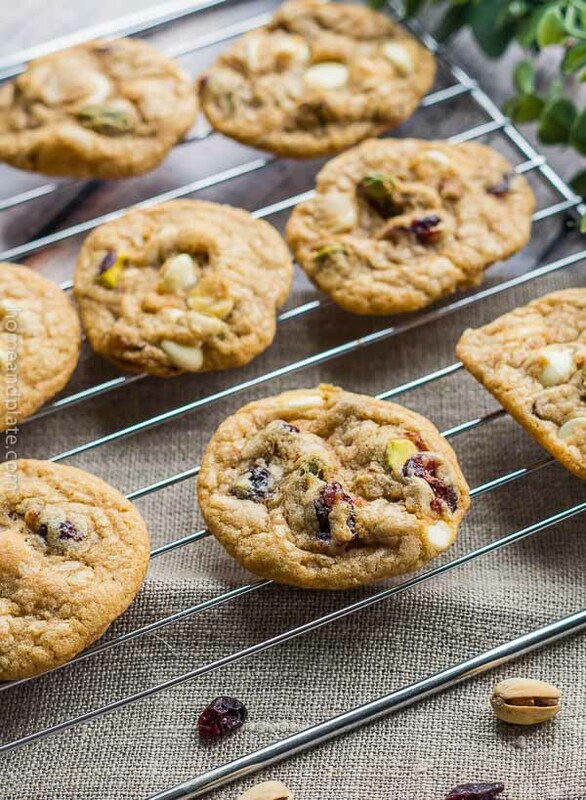 Pecan Butterball Cookies: perfect for the holidays! 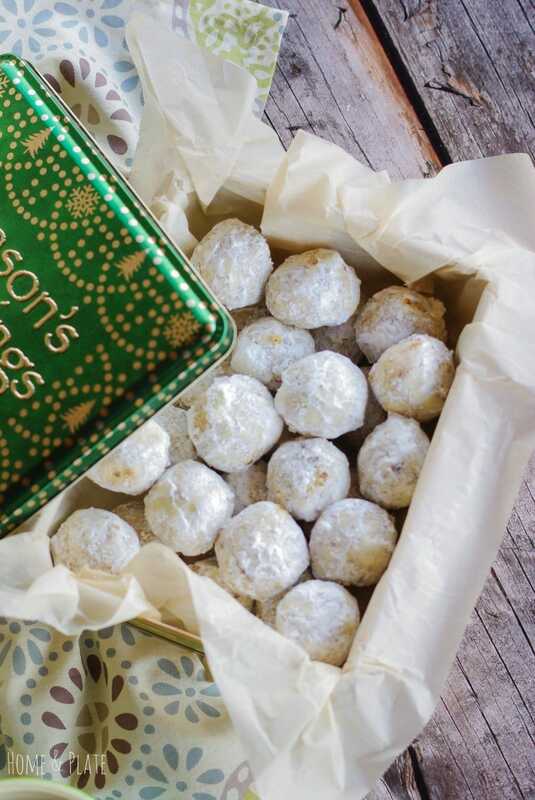 Delicious, melt in your mouth cookies that reminds me of snowballs. The powdered sugar coating, the crumbly texture, the homegrown pecans…these pecan butterball cookies are a delight any time of the year. 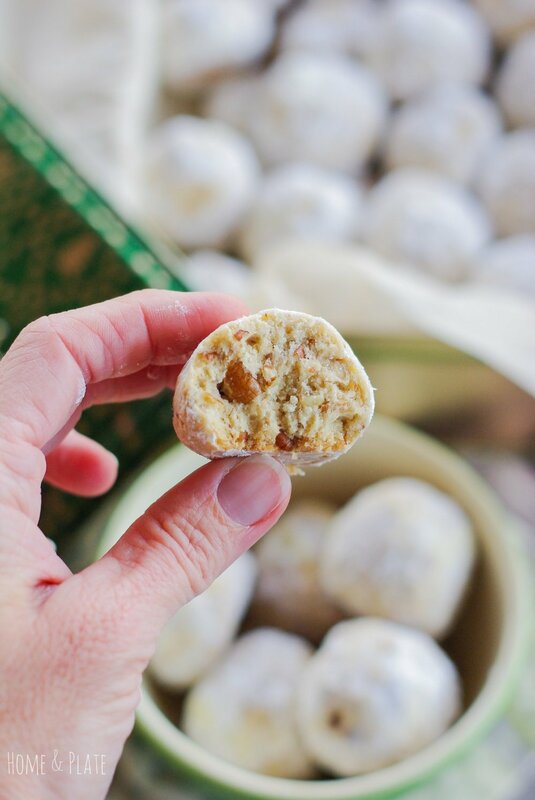 Also known as Mexican or Italian wedding cookies, Russian tea cakes, or snowballs cookies, we call these pecan butterball cookies in our family. They are also perfect holiday cookies and easy to whip up for your next cookie exchange party. 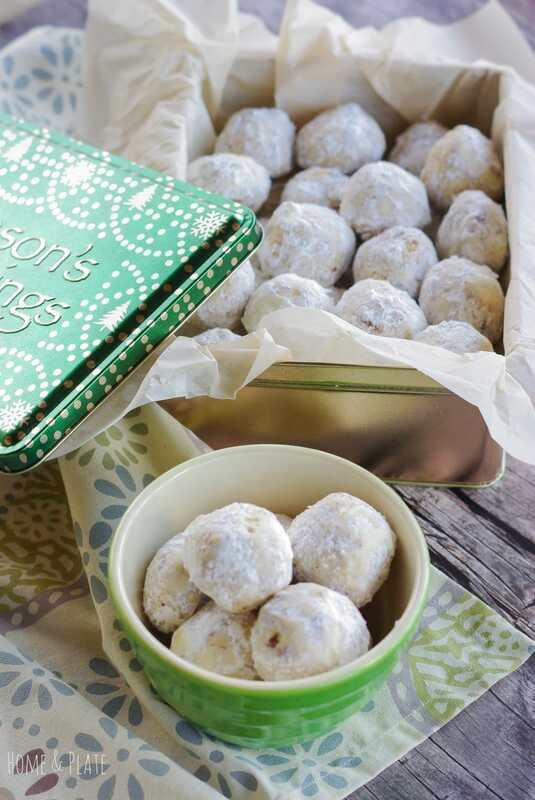 These buttery cookies are filled with toasted pecans and rolled in powdered sugar. No one can eat just one! Yes they are that good. What makes our cookies so wonderful is the pecans are right from the tree. My mother is lucky enough to have friends who harvest pecans right in their backyard. Of course not everyone is as lucky. I’m a big fan of Pearson’s peaches in the summertime. Guess what? They’re also known for their pecans. I always buy several bags near the end of summer and keep them stored in the fridge. They’re perfect for making pecan pies and cookies for the holidays. Of course the grocery store is the easiest place to find fresh pecans. And many feature freshly harvested nuts every fall available in the bulk foods or produce section. Try there first before buying pecans already bagged. I like to toast the pecans for about five minutes before using them in this recipe. It enhances the flavor of the cookies. It’s also important to allow the butter to completely soften at room temperature before using. This recipe is also an easy one to make with your children. After all, who says no to cookies? My kids love to be in charge of rolling them in the powdered sugar. Granola Blondie Bars: perfect for holiday baking! Flip this recipe on Flipboard! Preheat oven to 325°F. Roast the chopped pecans for 5-7 minutes watching closely so it doesn’t burn. Allow to cool completely. Mix together the first 5 ingredients until well blended. Add chopped pecans. Shape into 1-inch balls and place on an nonstick cookie sheet. Bake for 25-30 minutes or until just slightly brown. Transfer to wire racks and when still a bit warm roll in confectioner’s sugar. These cookies freeze well. The trouble with your recipe is that I love it so much, and the cookie is so small, that I can pop 10 in my mouth without realizing it, lol… I LOVE this recipe. Thanks. It’s not even 11am and you’ve already got me craving cookies! These look so perfect for the holidays! I love these cute little melt in your mouth two-bite cookies. They are so perfect for gift giving! I agree Karen. They are the perfect gift for the holidays. 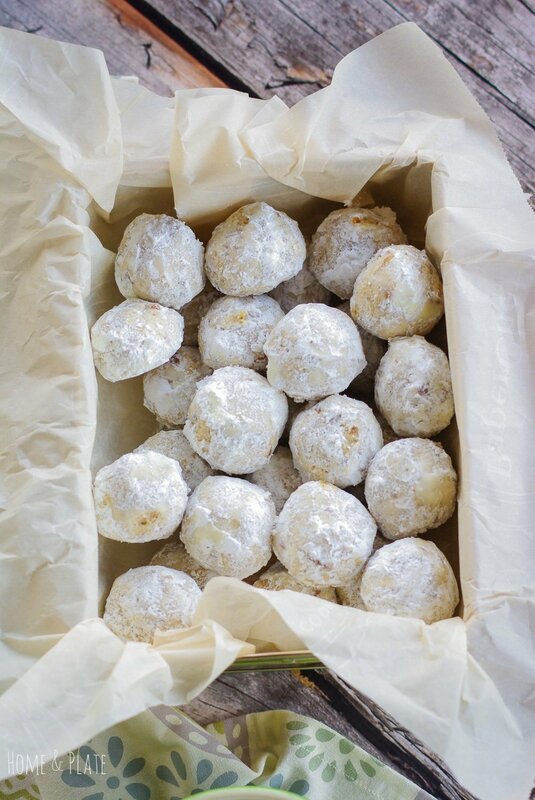 I love pecan and I love butter ball cookies. Such an amazing combination. Must try. Thanks for the recipe. Especially when the pecans are fresh. 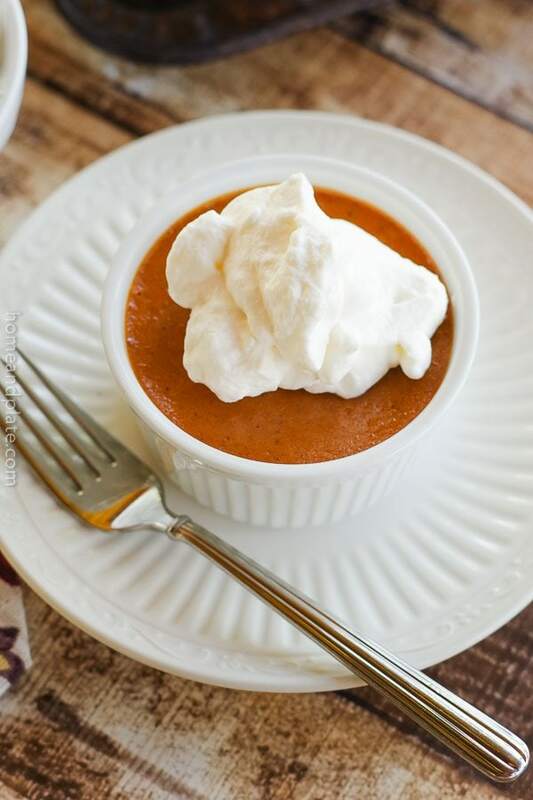 I hope you like the recipe and give it a try soon. This is such a great gift for anyone during holidays! I would love to get them:) So delicious.